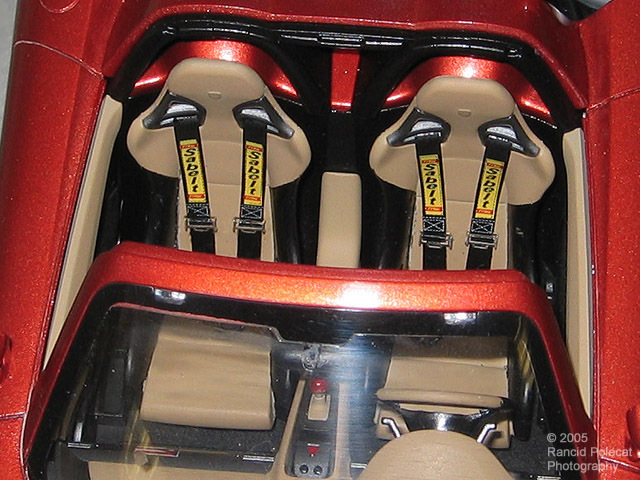 Although the model is essentially box stock, Cruz added these impressive Sabelt seat belts with photetched latches. Cruz says these seatbelts were the whole reason he built the model. The rest of the interior is painted in a combination of Testors semi-gloss black and Africa Brown. Highlights are picked out in Testors Titanium metallizer.